With Warhammer: End Times - Vermintide you get another game in the famous tabletop fantasy universe series. However, this time it is not a strategy titles, but a full-fledged role playing game in the bleak city of Ubersreik, which is overrun by the rat-men of the Skaven. Therefore, you have provided with five classes to fight against them. You take the role of one of five heroes to fight against the Skaven horde. Here each hero has different abilities and equipment, each serving a different style of play. Here, the main focus in cooperative play with friends and the vote of the capabilities of different heroes, to overcome the trickiest situations. 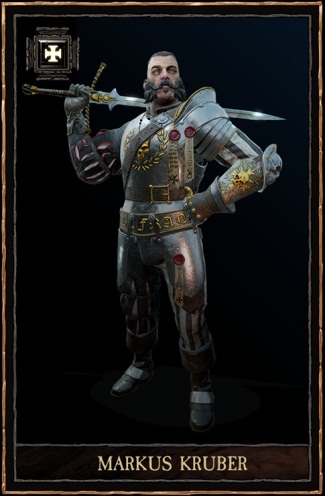 Markus Kruber is an empire soldier, goes into battle with heavily armored. With his wild attacks he is able to knock down multiple enemies at once and kill. Use the two-handed sword is force behind every hit, but his attacks always need a bit of time, which makes him an indolent character. Fortunately, he can also be equipped with lighter weapons. Markus Kruber made in Military career quickly, but did not quite clear with his supervisor and is therefore added to a poor and dangerous neighborhood. After a tough battle with the so-called "Necromancern" Markus could survive only by luck. Victor Saltzpyre received him, to fight him together against the invading hordes of Skaven in Uber strike. His weaknesses lie in distance combat, but also in the duel against thunderstorms, strong opponents. Since a young age he is one of a religious, the holy Templar. And if there is something that he hates, this is heresy and corruption. After he could not finish an important assignment by the raid of Skaven, he is dedicated to this now, and searching diligently for worthy comrades. Victors’ strengths lie in causing damage, especially to single, powerful enemies. Since his severe attack represents a shock attack, also this attack on individual enemy is targeted. His weaknesses lie in the fight several enemies. Although he can prove himself here by a two-hand shear, it is certainly not his supreme discipline. This is also due to the long-range weapons that he can carry with him. 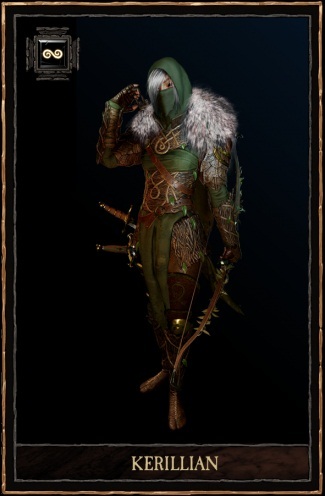 Kerillian, The Wood Elf Waywatcher is nimble, preferred fighting with two weapons and has a lot of arrows in the quiver that they can fire a flash. Kerillian is no friend of the human species and countered her questions only with sarcasm. She left her position as guardian of the Wood Elf. Her reasons remain a mystery. 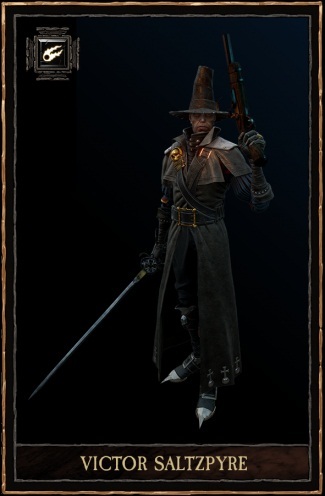 Kerillian is probably the fastest character of the five-member group. Especially from a distance, she represents a mortal ranger. Her ability to quickly fire an arrow after another is also useful, as to draw the bow and cause more damage. Her weakness lies in the defense. She must use her dexterity to turn a block need not apply. The dwarf is a strong character. His melee weapons range are similar to that of empire soldiers Markus and otherwise his attacks similar to those of the most soldiers. Despite his small size, white Bardin always draw attention to himself. By chance he thrusts on a mine to see what dead dwarves and Skaven are. There he found a card whose writing he unfortunately could not read. He hopes in Uber strike out more. His weakness is probably most evident in his size. So goes with legions of enemies quickly once the index lost. Sienna is a magician and therefore became armed with magic stick. Her uniqueness lies also in the use of her ranged weapon. So she does not need any ammunition to attack, rather . Sienna was rejected by her parents when she was a child. She has always had a penchant for magic, which is why she soon decided to learn fire magic. As a result, she traveled the world to find new challenges. But soon she found other problems, because she is under suspicion of having murdered the son of a mayor. Victor and Mark accompany them after Uber strike to face the court. The fact that the magician needs no ammunition, it is hard to rely on close combat and can be both at the same time huge hordes attack to target as well as on individual enemies. In close combat, the magician shows disadvantaged and should keep distance in every situation possible.